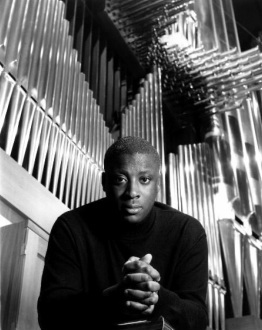 Wayne Marshall travels worldwide as a conductor, virtuoso organist and solo pianist and is a renowned interpreter of Gershwin, Bernstein, Ellington and other 20th century American composers. He was recently announced as Chief Conductor Designate of WDR Rundfunkorchester, Cologne, and will take up the position at the start of 14/15 season. Organist-in Residence at Bridgewater Hall since its opening in 1996, he became Principal Guest Conductor of Orchestra Sinfonica di Milano Giuseppe Verdi in 2007. As pianist/director and organist he has performed with many orchestras, including Los Angeles Philharmonic (World Première of MacMillan’s organ concerto A Scotch Bestiary), Swedish and Munich Radio Symphony orchestras, and Berlin Philharmonic under Rattle and Abbado. He regularly features as piano soloist with the London Symphony Orchestra. In 2004, he gave the inaugural organ recital in the Walt Disney Concert Hall, Los Angeles. Recent recitals include Florence Cathedral, Luxembourg Philharmonie, Notre-Dame de Paris, Royal Albert Hall, Stiftskircher Stuttgart and National Grand Theatre, Beijing. He is a regular performer in the BBC Proms. Past appearances include three organ recitals; the UK première of A Scotch Bestiary; Last Night of the Proms in 1997 and the First Night in 2008; conducting Porgy and Bess to celebrate the Gershwin centenary and four Proms in the Park.